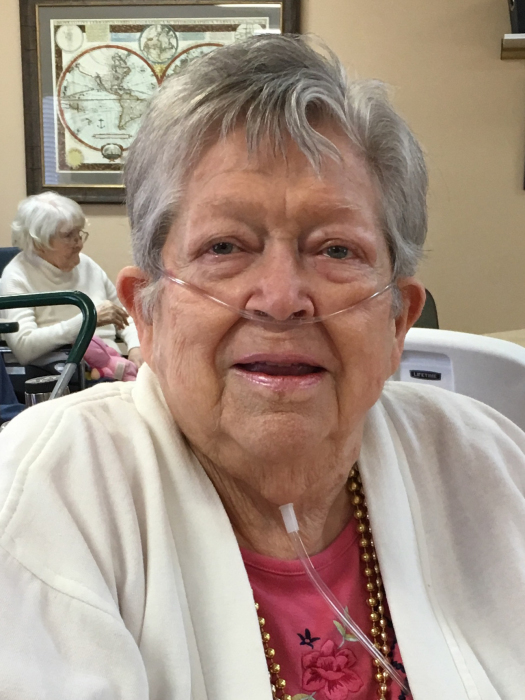 Nora S. Singleton, 83, of Leesburg, died Thursday, September 6, 2018 at Lee County Health and Rehabilitation. Her funeral service will be Saturday 11 AM at Mathews Funeral Home with interment in Crown Hill Cemetery. Rev. Stan Glass will officiate. A native of Albany, Mrs. Singleton had lived in Leesburg most of her life. She was a member of Westview Baptist Church and was preceded in death by her husband Jim Singleton. Survivors include her sons, Mike Singleton, Sr., Sylvester, Tommy Singelton, Leesburg, daughters, Jackie Kenmore, Panama City, FL, Debbie Tucker, Leesburg, grandchildren, Bobby Dixon, Amanda Purdue, Michael Singleton, Jr., Chris Singleton, Trace Tucker, Jennifer Tucker, seven great grandchildren and 2 sisters Blanche Dekle, Albany and Geraldine Hagans, Pennsylvania. The family will receive friends Saturday one hour prior to the service. Those desiring please make memorials to Westview Baptist Church, 2509 Homewood Drive, Albany, GA 31707.